government funding sources. Your charitable donation helps us deliver more meals. 56 volunteers are needed each day to provide meals and smiles in eight locations in Lane County. See how volunteering for Meals on Wheels can enrich your life and the lives of our homebound neighbors. More than 1,200 homebound older people were served last year by Meals on Wheels in Lane County. If you need Meals on Wheels, give us a call. We mail periodic newsletters to update the community on the latest news from Meals on Wheels. Meals on Wheels of Lane County, Oregon, provides nourishing meals, friendly smiles and regular safety checks to homebound seniors in eight Lane County communities. Meals on Wheels of Lane County, Oregon, is a meal service that provides a nourishing lunchtime meal, a friendly visit and a regular safety check to help homebound older people live independently. Our work is partially federally funded, but depends heavily on charitable donations and the wonderful work of our dedicated volunteers. Call us to see if you are eligible for Meals on Wheels services. Feel free also to contact us with any questions about our organization, our program or additional resources for seniors in our community. 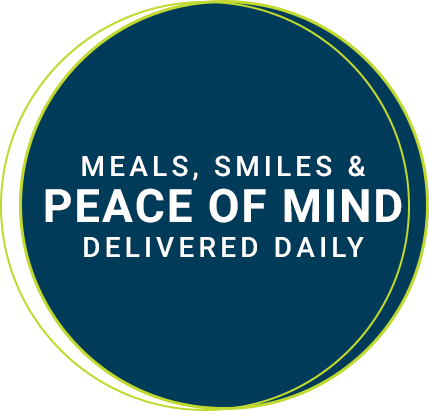 Call today to request Meals on Wheels services. © 2019 Meals on Wheels Lane County.